The following start dates are still available in 2017: 27 November - 4 December - 11 December - 18 December (with Christmas in the family). The TestDaF Exam is only a month away! Are you looking for a good way to prepare and study for the exam? Are you looking for qualified teachers with years of experience? If so, you have found the right place! 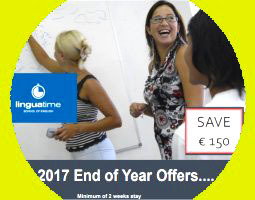 English Course in Malta - Anniversary Offer - save € 150! 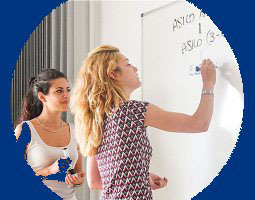 Learning community "Deutsch für dich"
The Goethe Institute has initiated the program "German for you / Deutsch für dich" to enable German speaking students to learn German in a community. There are numerous videos, texts and exercises for beginners to advanced. In the forum and chat you can also communicate in German. 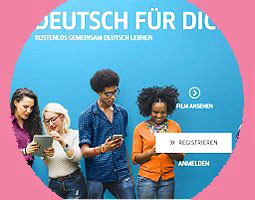 "Deutsch für dich" is an excellent addition to DaF lessons as it encourages communication in German and promotes intercultural exchange. 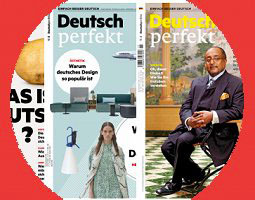 Learn German the easy way with the language magazine "DEUTSCH PERFEKT". It is an entertaining mix of information on German-speaking regions. 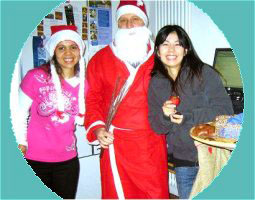 The incorporated language training will improve your German skills. A new issue is published every month. The main themes of the November issue are: How to understand dialects in Germany better - tips for German learners. Furthermore: celebrities who came to Germany a long time ago report what they would do first if they were to be new in Germany again.